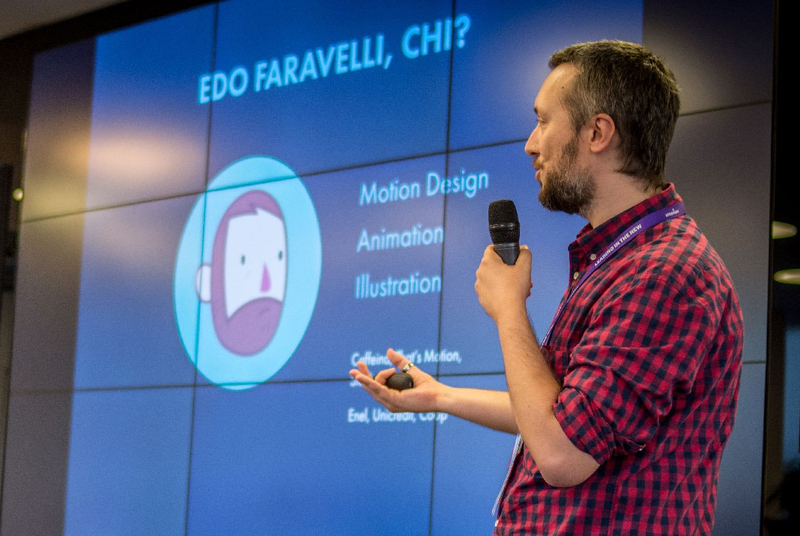 I’m Edoardo “Edo” Faravelli, Motion Designer based in “sunny” northern Italy, with a core focus on Animation and illustration. I pursued Multimedia Design and Communication Studies, and I am now a full time Designer with 10 years of experience. Over the years I’ve been working on diverse project for marketing offices of huge italian brands, such as Feltrinelli and Fabriano until 2015, when I decided to start freelancing. I keep a personal, fun yet practical approach to my works, I’m passionate for creating simple and lighthearted stuff! I love to explore different styles, with a particular love for pixel-art, and inspirations to best fit the story or the projects I’m involved in. In 2019, I founded a dinoaur-shaped studio called Ach Animation with the goal of working on both personal projects and client works. Get in touch for questions simply to chat a bit! Here or via LinkedIn.